Stormtroopers invade - May the Fourth be with you on Star Wars Day! 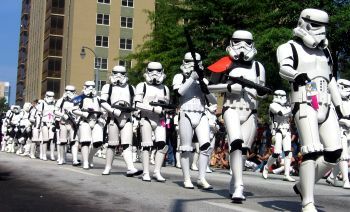 Star Wars Day celebrates the Star Wars film franchise created by George Lucas and is observed annually on May 4. The date is based on the pun "May the Fourth be with you" (May the 4th be with you), derived from the catchphrase "May the Force be with you" often heard in the films. The day was neither created nor declared by George Lucas or his company Lucasfilm, but it is celebrated by Star Wars fans around the world. The saying is said to have first been used in a newspaper advertisement on May 4, 1979, to congratulate Margaret Thatcher on the day she took office as Prime Minister of the United Kingdom. The advertisement was placed by her political party, the Conservatives, with the text "May the Fourth Be with You, Maggie. Congratulations.". It was also used in a defence debate in the UK parliament on May 4th, 1994. The Walt Disney Company, which bought Lucasfilm and the rights to the Star Wars franchise in 2012, now officially observes Star Wars Day with events and festivities in its theme parks Disneyland and Walt Disney World. 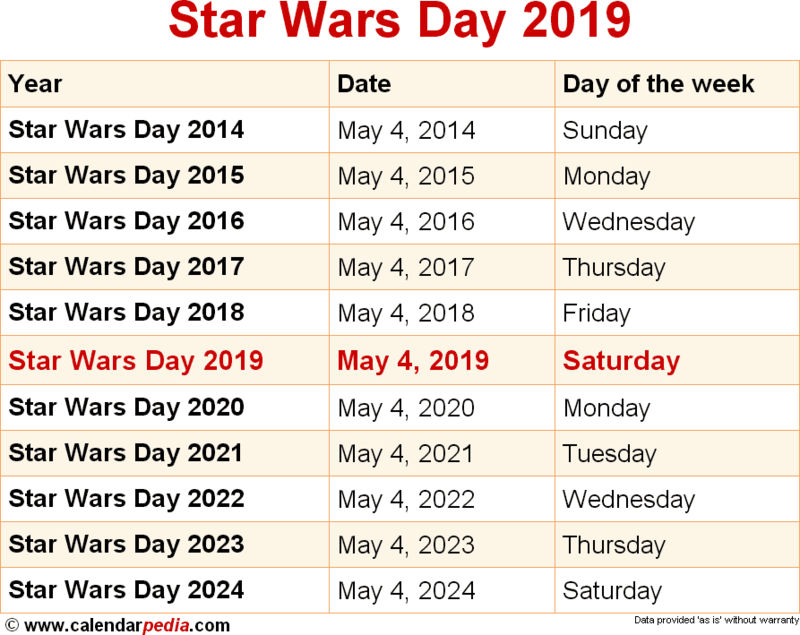 When is Star Wars Day 2020? The next occurrence of Star Wars Day is marked in red.